Maximum resolution images from accurate technology. 3.8 lp/mm and 5.0 lp/mm resolution available. ScanX will read the Phosphor Storage Plate and then automatically erase it in the same continuous cycle. All that is required for digital imaging is the ScanX itself, a computer and certified practice management software. Ideal for ENT, hand surgeons and other medical modalities that use 8"x10" and 10"x12" plates. Diagnostic quality medical images in just seconds. 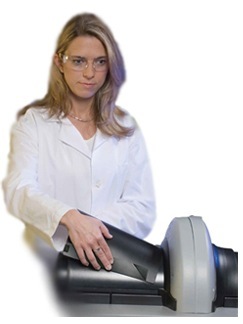 ScanX 12 frees your staff from the darkroom. The system is designed to load and operate in normal room lighting. ScanX 12 simplifies your entire imaging process: acquisition, diagnosis, storage and maintenance. Now, you and your patients can benefit from every advantage of computed radiography. 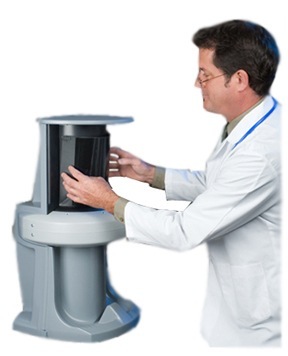 ScanX 14 is an innovation in computed radiography, engineered to rapidly produce diagnostic images that are ready for viewing in 55 seconds. In fact, with In-Line Erase you can scan and erase in one continuous cycle, within the same 55 seconds.